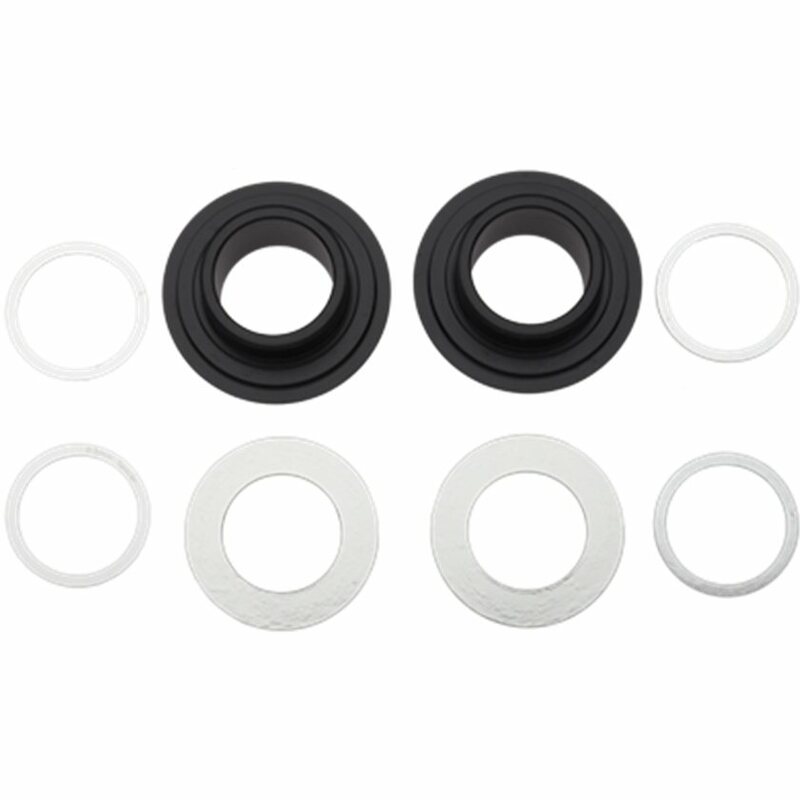 These adapters kit allow for the use of external bottom bracket crankarms (24mm spindles) with newer BB30 and PressFit 30 bottom bracket bearings. These adapters fit nicely into my BB30 press-in bearings, and installation was a snap. Unfortunately, my Race Face crankset did not fit easily into the adapter holes. I had to coax the crank spindle in using a rubber mallet, but the fit was too tight to actually work properly. Trying to get the spindle through the adapters resulted in the opposite side bearing coming out with the adapter! Furthermore, the chain line would not work out even when I managed to get the crankset forced in. I think the overall width is insufficient for Race Face cranks, even when stacking a bunch of spacers. Works great. Take a sec and read the instructions to make sure you use the right spacers, no problem- it's a tight fit and it can seem like it's not right but I got it all put together and it works like a charm! Great way to have options with your BB30 setup! Did NOT fix the problem with my 2015 Fatboy. Tried to mate a Race Face Ride 24mm X 100mm Bottom Bracket using the Problem Solvers (PS). The PS did make the 24mm spline fit in the 30mm BB...However, the shoulders on the PS were too thick which made the spindle too short and not enough spline to attach the crank arm.